Fibromyalgia is one of the more common conditions of the musculoskeletal system, which is often misdiagnosed and misunderstood. The syndrome of fibromyalgia is generally a cluster of symptoms. When these symptoms come together, they take the form of a more serious condition requiring medical intervention. There is also an increased risk of the disease becoming incurable. The condition is often associated with tender points, which are also called trigger points. Trigger points are the places in the body where even a slight pressure causes pain. 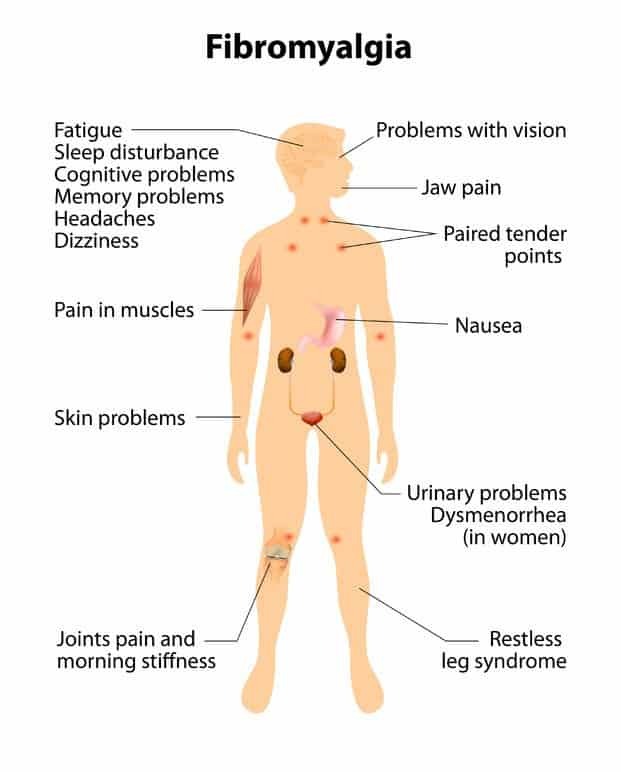 According to the American College of Rheumatology, a person is diagnosed with fibromyalgia if he is having pain in at least 11 of the 18 known trigger points. Some of the common trigger points include elbows, knees, hips, upper chest, shoulder tapas, back of the head. Constant pain and tenderness in the whole body is also common with the patients suffering from fibromyalgia. The person with this disorder may also have anxiety, depression, sleep disorders, fatigue and memory and concentration issues. One of the alternative therapies I have found to be most effective against fibromyalgia is Aromatherapy. Modern medicine only suppress the disease leaving you vulnerable to relapse. With the use of essential oils, you can easily expect sustainable results. With that said, here are some of the best essential oils recommended for fibromyalgia. The essential oil of lemongrass is distilled from a plant native to tropical Asia. It has a powerful, lemon aroma, making it good for use as insecticides, air fresheners, soaps and detergents. For fibromyalgia patients, this oil is extremely vitalizing and cleansing. Several species of frankincense trees grow across western India, North Africa and southern Saudi Arabia. The oil is spicy, balsamic and peppery. This oil is highly calming and meditative for the patients of fibromyalgia. Ylang ylang oil is distilled in the morning from fresh flowers of the tree named Cananga. The distillation process is interrupted at various times and the accumulating oil is removed. The first oil to be removed is the best quality called ‘extra’. The ‘extra’ Ylang ylang has an intense and sweet floral scent like jasmine. The pain relieving and analgesic properties of Ylang Ylang make is highly useful for patients suffering from fibromyalgia pain. Rosemary, which is often known as the herb of remembrance produces almost colorless essential oil with a strong camphor scent. Rosemary is clear and refreshing with pain relieving abilities that are quite useful for the patients of fibromyalgia. The essential oil of lemon smells similar to the fresh peels of lemon. This oil is highly refreshing, stimulating and pain relieving. Lemon oil must always be used in diluted forms; otherwise, it can cause skin irritation. Avoid the use of lemon when you are out in the sun, as it may cause redness and burning of the skin. The essential oil of orange is an antidepressant, anti-inflammatory, antispasmodic, aphrodisiac, antiseptic, carminative, diuretic, sedative and cholagogue. This oil is traditionally used to relieve inflammation, fight against depression and mood swings, increase the libido and as a treatment for sexual dysfunction. In addition, it assists the release of gases, increases urination, eliminates toxins and strengthens the overall health of the immune system. The positive effect of this oil on the immune system of the body is something useful for patients with fibromyalgia. Peppermint oil is used as an analgesic, anesthetic, antiseptic and astringent. The anti-inflammatory and anti-spasmodic qualities of this oil are also well known. This oil is commonly used in the treatment of pain as a means to induce dormancy and release spasms. This oil also induces muscle strength, stops bleeding, releases gas, is good for nervous health and memory, promotes the secretion of bile, cleans congestion and facilitates breathing. In addition, the essential oil of peppermint expels phlegm, reduces fever, is good for the liver, nerves and stomach, and promotes perspiration and a slight contraction of blood vessels. Patchouli oil is used as an antidepressant, antiseptic, astringent and aphrodisiac. You can also use this oil to fight depression and relieve the inflammation caused due to conditions like fibromyalgia. In addition, this oil helps to strengthen the muscles. Finally, the oil is well known for its ability to treat fever and control emotional and nervous disorders. Clary sage is a potent antidepressant, anticonvulsant, antispasmodic, antiseptic, aphrodisiac and astringent, making it beneficial for conditions like fibromyalgia. The essential oil of sage subdues growing depression, sedates nervous disorders and relaxes spasms. It also lowers blood pressure and improves the integrity of the nervous system. Finally, sage essential oil assuages various extreme emotions and anxiety, which is common in patients suffering from fibromyalgia. Melissa is generally used to reduce the feeling of depression, cure nervous system disorders, calm inflammation and reduce spasms. It also inhibits bacteria, eliminates gas, increases sweating to help eliminate toxins and reduce fever, reduces the blood pressure and improves the health of the immune system. Bergamot essential oil is extracted from the plant named citrus aurantium var of the rutaceae family, which is also known as bergamot. The oil has a citrus scent, but also a floral fruity and sweet quality, which often reminds me of neroli and lavender. Bergamot oil can easily be used in the treatment of depression, stress, tension and nerve pain in general, making it highly useful in the treatment of fibromyalgia. This hot and spicy essential oil helps to increase body heat, relieves pain in muscles and joints, stimulates the immune and digestive system, stimulates the kidneys and disperses bruising by increasing blood circulation to the skin. The strong pungent smell of this oil is vaguely reminiscent of clove oil, although more refined. Black pepper oil can be used to help in the treatment of pain and rheumatism. Apart from that, I have found this oil to be highly efficient at relieving fatigue and muscle pain. The essential oil of ginger is known to heal pain and release spasms. In addition, it can break fevers, improve the health of the stomach and promote perspiration, which helps to eliminate toxins from the body. The oil has a woody, exotic, subtle and lingering odor, and the color is pale yellow to golden. This relaxing oil is harmonizing and soothing, reducing tension and confusion, and is ideal for use in depression, everyday hectic life and the state of fear, stress and nervous exhaustion. Palmarosa essential oil is used as an antiseptic, antiviral, antibacterial, cytophylactic, digestive, antipyretic and moisturizing conditioner. This oil inhibits bacterial and viral growth, promotes cell regeneration, helps digestion and reduces fever. Tea tree has a very pungent and spicy smell, and it is very light in color with aqueous viscosity. Tea tree oil acts as a stimulant of the immune system and increases the body’s ability to fight infections; moreover, it can also be used to revitalize the body and mind. Overall, this oil actively participates in inhibition of all three varieties of infectious organisms – bacteria, fungi and viruses. Lavender oil has a soft and light texture, is light in color and watery in viscosity. This oil has a calming and relaxing effect on the nerves, relieving stress, depression, panic, hysteria and nervous exhaustion in general. It is also effective for headaches, migraines and insomnia. In addition, it helps to relieve the cramps, flatulence, nausea and vomiting. Furthermore, the essential oil of Lavender relieves pain when used for arthritis, rheumatism, muscle pain and back pain and musculoskeletal conditions like fibromyalgia. Did you know that Lavender is the best and most popular essential oil for the treatment of burns. Pour into a bowl and cool completely before closing the lid. Label properly and use for joint pain as required. Gently massage a small amount into the chest, back, temples, ears and under the nose and throat. A mix of essential oil of peppermint and essential oil of lavender creates anti-inflammatory synergies. The essential oil of thyme diluted with sweet almond oil is an analgesic anti-inflammatory blend. Mix all the essential oils in a spray bottle or a dispenser. Gently massage the affected areas daily. Mix all the essential oils in above-mentioned amounts in an amber bottle and add only 4 drops of the blend in a hot bath. Soak in this water for 15-20 minutes. Whenever using essential oils in bath or massage, always test them on a small part of your skin before using them liberally. Make sure that your skin can handle the mixture in order to be treated successfully. I do not suggest the prolonged use of massage oils for fibromyalgia, especially the oils such as wintergreen and sweet birch. Both these oils are high in methyl salicylate, which is a constituent that is very difficult for the liver to eliminate. As you may already be taking pain killers and analgesics, there is no point in overloading your liver with methyl salicylate overdoses. In addition, make sure that your general physician knows about your use of essential oils. Some medicines should not be stopped without consultation with a physician. 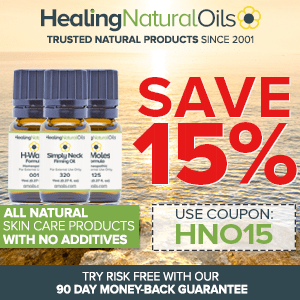 Are there any essential oils that you ABSOLUTELY can’t use on someone with hepatitis C? I don’t know of any and would consult my doctor for further advice. What combo of oils would you suggest for the diffuser for fibro? You can use few drops of ylang ylang / lavender / chamomile / neroli or another combination is patchouli / clary sage / rosemary / sandalwood. Hi. I have read soooooo many articles (Google Essential Oils) that my head is spinning & tonite I went on to see what kind of essential oil bath I should take because my CFIDS/FM is in FULL FLARE UP MODE (UGH!). I have read your FM suggestions but would you PLEASE give me a suggestion for a Recipe for Chronic Fatigue Immune Def. Syndrome/FM. Also, I dont know if you support ‘Miracle Essential Oils’-it looked like u do but then I saw L’Pur (?). ANY ADVICE WOULD BE GREATLY APPRECIAATED. I am 69 years (Old in CFS Feeling) (Young in My Minds Eye-still laying in the mud @ the Woodstock Festival). I was diagnosed almost 20 years ago with this insidious illness. It is truly horrible. Sure, for Chronic Fatigue Immune Deficiency Syndrome, you can try the following recipe to use in a diffuser or bath: 6 drops rosemary, 4 drops each of peppermint and geranium and 3 drops of lemon. For best results, you can instead try my new L’orpur 5 blends kit. Each essential oil bottle contains a multitude of pure essential oils including all the above ones and more specially chosen for relaxation, etc. You’ll get a beautiful carry case too! Yet another interesting comment, thanks a lot. Ive made a point of reading some other stuff you made and I you’ve got some nice content. Really appreciate the information on essential oils for Fibromyalgia. I have Fibromyalgia. But – Fibromyalgia IS incurable. It is not life threatening, but to date – there are only suggestions on minimizing pain, and medications. You are welcome and thanks so much for your input, it is really appreciated. I’ve been a fibromyalsia sufferer, for 18 long yrs now, have tried every pill, patch, home remedies there is..I’m really hoping the oils will be my salvation….. I know the feeling and I am pretty sure you will find immense relief from the use of essential oils. Do let me know if you have any questions or need clarification on anything. Sometimes it’s simply more than I can bear. Any suggestions? If you need more help, do not hesitate to reach out. Can i use this product if i am allergic to sesame seeds? I am not sure which product you are referring to. In any case, you should avoid any products or recipes containing sesame oil. Simply substitute with jojoba oil or apricot kernel oil. Please let me know which products you would like to order. Hi, I’m in Canada. I just signed up on your webpage. I studied alternative healthcare at Balnea school in Burlington, Ontario Canada which included Clinical Aromatherapy. I got very ill after my car accident in 1998 and went on disability. I already had osteoarthritis in both knees, but since the accident I came down with Fibromyalgia. I managed to put myself into remission and that’s when I decided to change careers from the computer world and go back to school to study the alternative ways that put me into remission. I had a horrible set back a few years ago and had to stop school after already attending for 3 years and just days away from my final exams. I have gotten so many more health issues since that my doctors are puzzled and confused how to treat what ailment in order to not harm another ailment. I am trying to get strong enough on my own in order to get well again and get off of disability. Chronic pain is such a horrible thing to deal with. Anyway, I just wanted to let you know a little about myself and why I’ve joined your website. Thank-you very much. Thanks for signing up, I really appreciate it. I am really sorry for what happened to you. If that helps, you can read my various essential oil articles about pain relief, including one on Fibromyalgia. If you need help on any related matters, please do not hesitate. Nice recipes, I really like the Balm for Pain recipe, I’d like to ask, do you know of any commercial balms that are using similar ingredients and are already premixed? I like the idea of making my own but I don’t know that I would want to buy all of the ingredients separately to try to make my own at this time, looking for something immediate to keep me over until I can make my own. You can try l’orpur essential oil blend for pain relief. I am not sure of availability of other commercial balms. 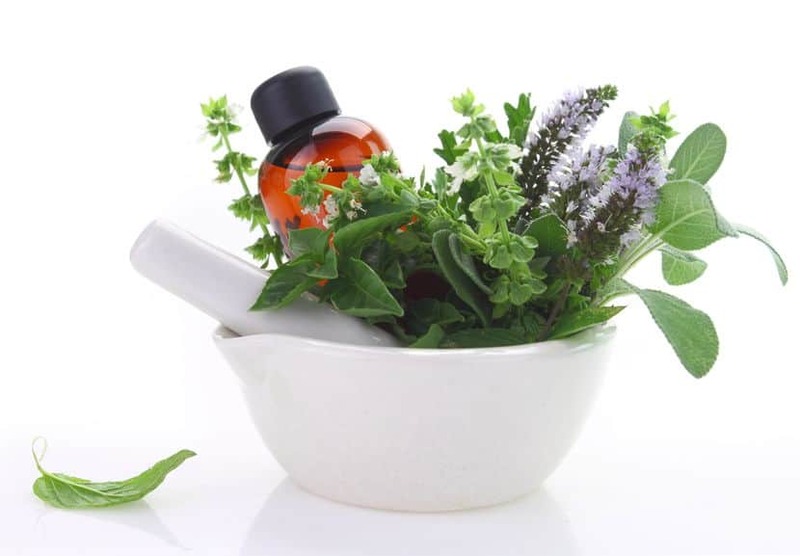 Once of the common ways to use essential oils for impotence is through aromatherapy massages. Aromatherapy has several benefits: it helps your skin absorb the essential oils, you inhale the aroma as well as you enjoy complete relaxation through the massage. I would recommend ylang ylang, rose or sandalwood essential oils for that purpose. You can inhale the scent or use essential oils topically for tremors. Breathing in the aroma of essential oils such as Lavender can produce a calming, soothing and sedative effect. You can also use Vetiver or Frankincense essential oil and rub 2-3 drops to the neck and temple twice daily in order to help with tremors. Please try a blend of 3 drops each of clove, peppermint, rosemary and chamomile diluted in 1 ounce of carrier oil such as coconut oil. Apply 3 times a day by rubbing over your stomach in a clockwise direction. You can also drink a cup of aloe vera juice 2-3 times a day to help. I really love your blog. Thanks so much for sharing all your hard work and knowledge. You’re super! Thanks so much. You’re welcome. I love this article. I developed SHINGLES this month one year ago. I still take prescription Gabapentin for pain. Doesn’t give much relief. Had on my breast went underarm to middle of back. The nerve pain is severe. Can’t give me anything stronger. CAN YOU HELP WITH EO’s? I really feel for the pain you are going through. Please let me know how you would like me to assist with essential oils. I am here to help. MD, I know 2 people that had miserable pain from shingles. Both went to a chiropractor for different reasons, & shingles pain went away immediately. If you think about it, it is a nerve related issue, so it makes sense that it would help. Thanks a lot for sharing the info about shingles and the chiropractor. I really appreciate it. Do you have an article on the best essential oils for migraines? Please refer to the link below for essential oils for migraines.